Scorpio is the 8th astrological sign in the zodiac- a sign famous for extremes and intensity. Scorpios are intense, deeply emotional people who crave emotional involvement and intimacy above all in a relationship. When two Scorpios meet, it seems like a match made in Heaven and a union blessed by the gods as with Scorpio/Scorpio relationships, both partners feel like they have finally met someone who understands them unconditionally. However, sometimes “like poles repel” because Scorpio requires a partner that complements him or her, with enough differences to keep things interesting. 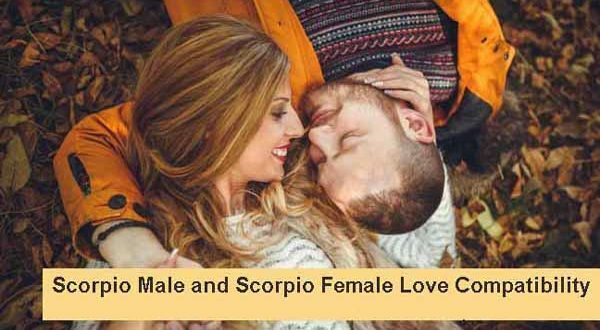 In Scorpio/Scorpio relationships, as long as they take time to appreciate and understand each other, there is a considerable amount of mutual respect and commonality of goals that make Mr. and Mrs. Scorpio as solid a match as any other match in the zodiac. On one hand scary, and on the other, an extremely powerful and unique match, Scorpio- Scorpio relationships are intense and exotic. Both partners can sense in one another a partner worthy of their time, attention and someone who is on the same emotional wavelength with them. They basically check each other’s boxes. This makes for a very strong bond between the partners. As perfectly matched as they may seem, Scorpio-Scorpio relationships are not without their flaws. It is a match that can both bring out the best and the worst in both partners. In a Scorpio-Scorpio relationship, there seems to be a never ending power tussle as both partners want control of the relationship and may resort to use whatever means necessary to get it. Also, this relationship stands a high chance of being heavily punctuated by drama. Most Scorpios enjoy that but after a while; they can both wear each other out. As long as each Scorpio stays positive and concentrates on the good qualities of their relationship, everything seems easy. When they give in to their negative sides is when things get awry and both Scorpios end up in an endless game of “Who can exact the better revenge?” as Scorpio is not really a sign known for its forgiving nature.